Close to Rs 3 lakh cheaper than the older model! 2019 Kawasaki Versys 1000 launched at Rs 10.69 lakh (ex-showroom). Dealers had begun accepting bookings in November 2018. Deliveries scheduled to begin in March. Available in a single colour option - metallic white. It will be sold via the CKD route. Kawasaki has launched the 2019 Versys 1000 at a price tag of Rs 10.69 lakh (ex-showroom). This makes it about Rs 3 lakh more affordable than the older model. 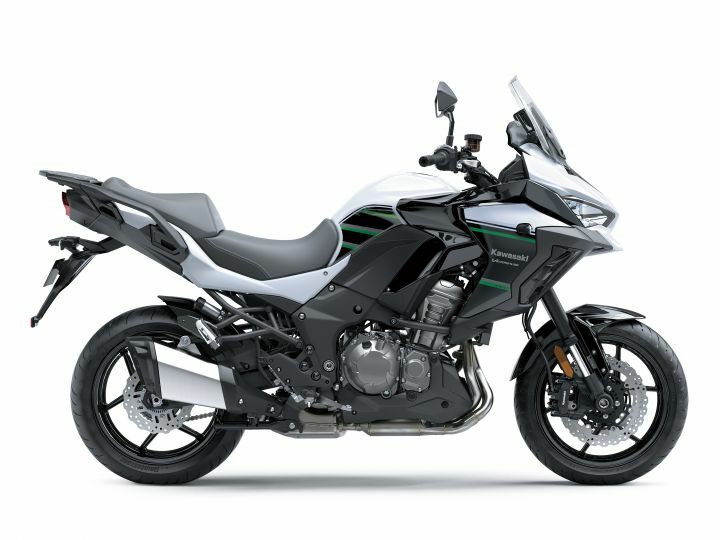 The reduction in price is thanks to Kawasaki’s decision to bring the new Versys 1000 via the CKD route instead of importing it as a completely built unit. The Japanese manufacturer had begun accepting bookings for the new adventure tourer in November last year. With the updated pricing hovering just above Rs 10 lakh, it is now the most affordable touring-focused adventure tourer out there. It's closest competitors, the Ducati Multistrada 950 and the Honda Africa Twin, retail for Rs 12.8 lakh and 13.23 lakh, respectively (both, ex-showroom Delhi). Pune, 12th February 2019: India’s largest premium motorcycle manufacturer Kawasaki announces the price of Versys 1000. Popularly known as “any road, any time”, the Versys 1000, available in pearl flat stardust white/metallic flat spark black colour, will be sold at Rs. 10,69,000 (Ex-Showroom, Delhi). Kawasaki’s Rideology philosophy focuses on rider-centric development of legendary machines. This philosophy is visible in the Versys 1000, a crossover sport model of Ninja 1000, which has engine and chassis designed to maximise riding enjoyment on the street. And to offer sporty riding experience with even greater confidence, new Kawasaki’s top-level electronic rider support, which includes Kawasaki Traction Control (KTRC), Electronic Cruise Control, and Kawasaki Cornering Management Function (KCMF) etc. plays a pivotal role. their motorcycle from March 2019 onwards. New interested buyers can contact their nearest Kawasaki dealer for booking related information or can also send a booking enquiry from the website of India Kawasaki Motors.